There is a deeper force at play here. This force surrounds us, lives within us and seeks connection. It is eager to guide us through our experiences of life of Earth, and by connecting with this energy, we can reap the insights it wants to pass on to us, transforming our way of living and embracing the beauty & purpose of what we are going through. Our higher self knows more than we think and, with its connection with the Universe, your soul is able give you the answers you’ve been searching for. 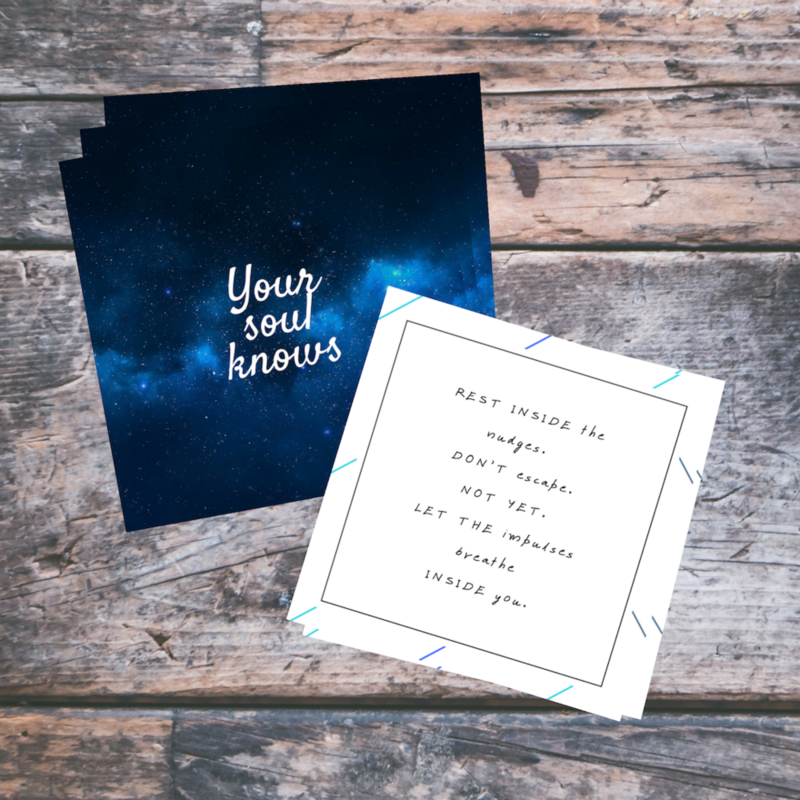 Intuitive card readings are one of Jennifer’s favourite ways to connect with the wisdom of the Cosmos and is now available to you! The simple spread, is for readings with one main question, one concern. It usually revolves around one pressing, sometimes nagging, question that keeps you awake. You might find yourself turning in circles around that main concern. You might feel stuck in this area, unable to push through and fulfill your true potential. First, you have to click on ‘Book your reading’ and find a time that works best for you. (if you can’t find a time, send an email at novelsbyjenniferoaks@gmail.com and we’ll find one). Then, proceed with your payment by clicking on the ‘PayPal’ button below. On the call, you will be invited to ask your question and cards will be drawn. Jen will then read the cards in relationship to your question. *Different decks will be used depending on the question. If you are looking for answers, book your reading now! The wide spread, is for readings with more than one question or concern. It usually revolves around a few connected (or not) areas. This is for you if you are going through a lot of uncertainties, struggles or if you simply feel the need to gain clarity on multiple areas in your life. On the call, you will be invited to ask your questions and cards will be drawn. Jen will then read the cards in relationship to your questions. ***With this option, you also have the opportunity to ask for clarifications (that means more cards to read! Yay!). *Different decks will be used depending on the questions. 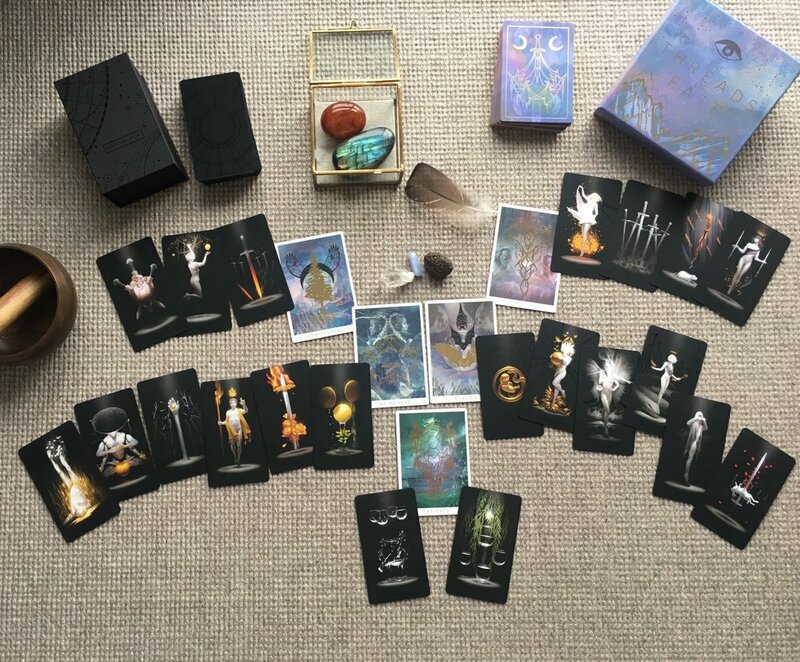 The Under the Soul Series now has its own deck! Affirmations, channeled from the Universe, to help you tap into the infinite wisdom of Source energy. You can use them as part of a daily practice, for journaling, meditation or with your favorite tarot deck. The deck contains 32 affirmations with full text on the back. The cards are 3.5” x 3.5” and come in a simple white box for easy storage. You can buy yours by sending me an email. Price : $20Cdn ($15US) + shipping. You can also download part of the deck as a free gift.